Guest rooms are from the 2nd to the 7th floors. As well as the expected hostel style dorm rooms, spacious private rooms are also on offer so as to accommodate people after a little more comfort and privacy. What we strive to provide is not only a great nights sleep, but also a space where people from all global cultures and backgrounds can comfortably pass the time and enjoy themselves and the company of others. Check-in is between 16:00 and 23:00. Please be sure to arrive before 23:00, as we do not accept late check-ins. We can keep your luggage for you before and after you check-in/out. Luggage fees only apply when luggage is kept outside the dates of your stay. 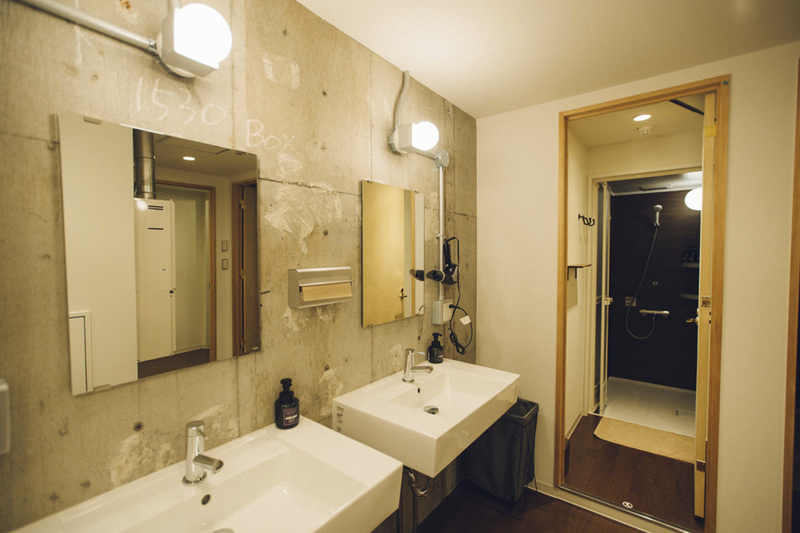 Both dormitories and private rooms at CITAN share bathrooms and shower rooms, which can be found on floors 2-7. Once checked-in there are no curfews. However, between 23:00 and 08:00, please be considerate of your fellow guests and of our neighbors, and keep noise down to a minimum. ＊ Room layout may vary depending on floor. Shared dormitory rooms with CITAN original comfy solid iron bunk beds. One bed per person. Each bed is surrounded by curtains providing privacy and includes a bedside reading light. Individual lockers in all dormitory rooms. Female only dormitory rooms with CITAN original comfy solid iron bunk beds. One bed per person. Each bed is surrounded by curtains providing privacy and includes a bedside reading light. Individual lockers in all female dormitory rooms. To our guest who has a reservation on CITAN website. We will offer a 20% discount ticket available at our basement bar & dining lounge at the check-in. Private twin room for two. One CITAN original comfy solid iron bunk bed with curtains and reading lights. Twin rooms come with a desk, wash basin and face mirror. More spacious that the standard Twin Room with a sofa for extra comfort. The Deluxe Twin includes one CITAN original comfy solid iron bunk bed with curtains and reading lights as well as a desk, wash basin and face mirror. Queen Double Room for two. One double bed with the same amenities as the Twin Room. Although the bed size remains the same, the size of the room and desk change in regards to the standard and large size rooms. King Double Room for two. The most spacious rooms on each floor with a desk, wash basin and mirror. Upgrading from the standard King Double room to the large King Double Room has the luxury of having the biggest windows of all rooms allowing in plenty of natural light, having more floorspace, and having the biggest beds providing extra comfort. The kitchen and library spaces can be used at all times by staying guests. A wide selection of kitchen utensils and seasonings are available to be used freely in the kitchen, provided guests clean up after themselves for the next person. 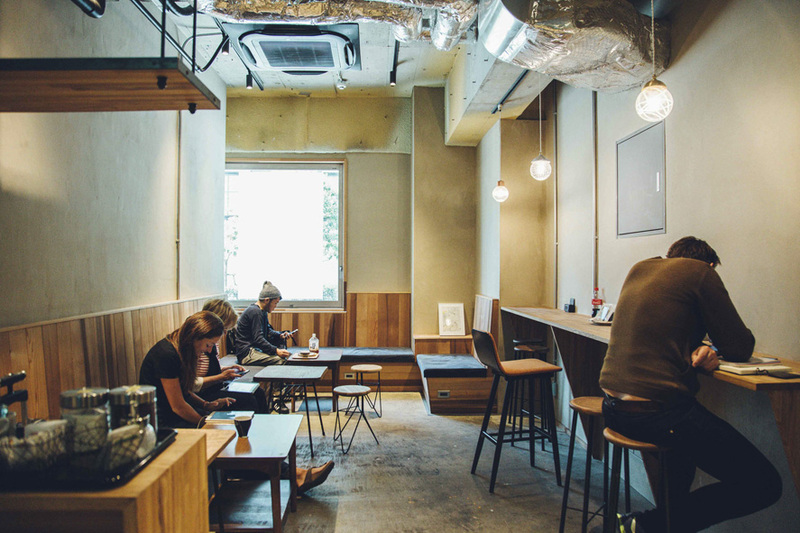 The library space can be used to eat and drink your own food and drink, as well as to read, talk to each other and spend your time as you like. There are plenty of power outlets to charge your devices and rental PC’s are offered at reception. Paid laundry service is also available just outside the library space. As CITAN is at heart a hostel for the traveler on a budget, there are no private bathrooms attached to the rooms. All guests are asked to use the shared bathrooms and toilet facilities situated on each floor. Shampoo, conditioner and body soap (check below for further details) can be found in each shower, and hand soap at each washbasin. Showers and toilets can be used 24 hours. At CITAN we strive to provide the best amenities we can offer to our guests and have chosen to use a very local cosmetics brand “Osaji” for our soaps and conditioners. 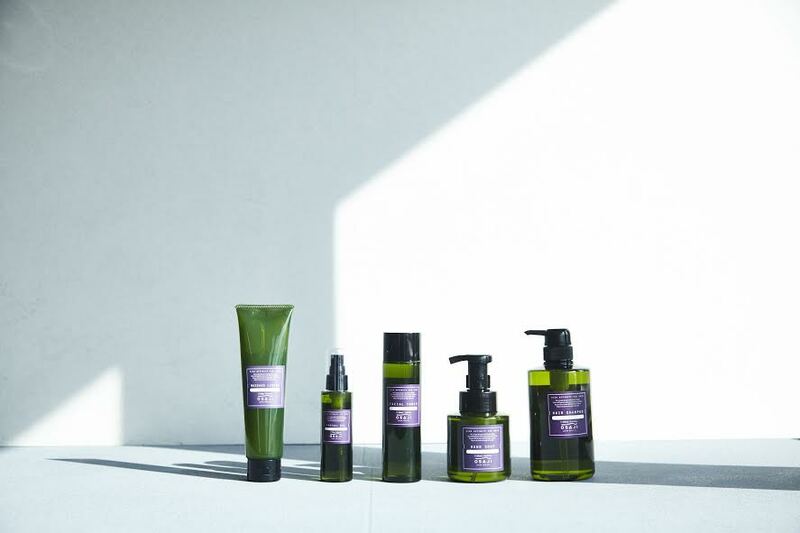 Osaji, from Higashi Nihonbashi, are passionate about creating eco friendly and dermatologically safe organic cosmetic products, and we are proud to share their products with you.